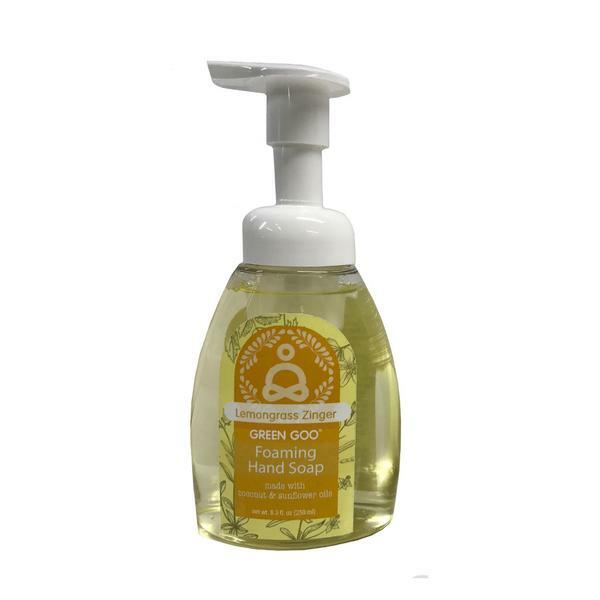 Green Goo Foaming Hand Soap in Lemongrass Zinger is TDF (To Die For). The scent is amazing. It wakes you up and makes you feel good at the same time. Lemongrass has stimulating properties with a beautifully exotic fragrance. 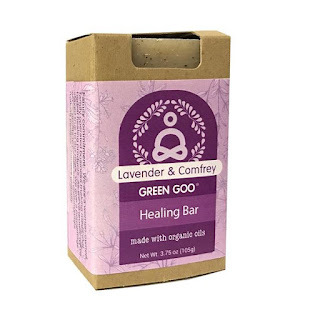 Get an aromatic energy boost by using the soap! The clean, crisp aroma is distinct with citrus lemon notes and a touch of botanical grasses. Sunflower suds are made from natural oils which are rich in vitamins and contain natural emollients that are known to help soothe the skin. Their formula will leave skin calmer, more balanced, renewed and most importantly: clean! Green Goo's Natural Foaming Hand Soaps envelope your hands in a cloud of rich nourishing foam that enchants your senses while washing away bacteria and dirt and restoring your hands to feeling luxuriously clean! They are very cost effective at over 325 pumps per bottle. This soap is tough on germs, gentle on your hands, and kind to your wallet! I love it. It is definitely the best hand soap I have ever used. It leaves hands in better condition than prior to use. How many soaps can you say do that? This natural made soap has healing properties that other soaps do not due to the inclusion of Lavender and Comfrey. It hydrates and soothes dry irriatated skin. Lavender calms tensions and disinfectes the skin. Comfrey root is a skin cell regenerator widely known for its external healing abilities. Lavender is anti-bacterial, soothing, calming and just all around nice for being relaxing. Comfrey is the counterpart to lavender as it helps aid in healing and regenerating the skin. The scent of this soap is very soothing and relaxing. I am sure you will find it that way too. This Green Goo Lavender Castile Soap is a soothing balancing blend for a few moments of bliss. It is a soap with versatility! The soap has a wide variety of use. It can be used as dish soap, laundry detergent, stain remover, all-purpose cleaner, shower soap, bubble bath and pet shampoo. It does not contain petroleum product, mineral oil or parabens. I tried it as a detergent, a shower soap, pet shampoo, and as a dish soap. I will have to admit it did well as all of those things. I think it did very well as a pet shampoo, and detergent as well as a shower gel. It is not strong enough for dishes. I liked it hough. 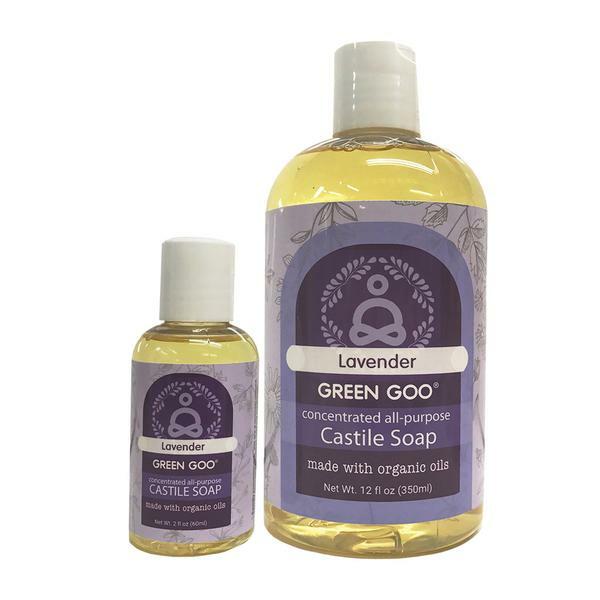 I had seen castile soap iin the natural foods store before. But I had never purchased it. I might give it a try now. Green Goo Products are sold online at www.greengoohelps.com. To find retail locations near you go to: https://greengoohelps.com/apps/store-locator. Like Green Goo on Facebook:https://www.facebook.com/Green-Goo-593937267392162/?fref=ts. Follow Green Goo on Twitter:@greengoohelps. Follow Green Goo on Pinterest:https://www.pinterest.com/pin/125186064615734381/ and Follow Green Goo on Instagram:https://www.instagram.com/greengoohelps/.